1. How will the top six shake out? The Bruins had arguably the best line in the NHL last season, with David Pastrnak joining Patrice Bergeron and Brad Marchand, but it's not necessarily a given they will be back together this season. Coach Bruce Cassidy could opt to move Pastrnak to the second line with David Krejci to bring more balance to the scoring, something the Bruins struggled with in the Stanley Cup Playoffs. There's also an open spot in the top six, which means a rookie could get a chance to play with Bergeron or Krejci on the right wing. 2. Can the Bruins continue to integrate young players? Boston had a lot of success bringing young players into the mix last season, including forwards Jake DeBrusk and Danton Heinen, and defenseman Charlie McAvoy, and others could get a chance this season, starting with forwards Ryan Donato and Anders Bjork. 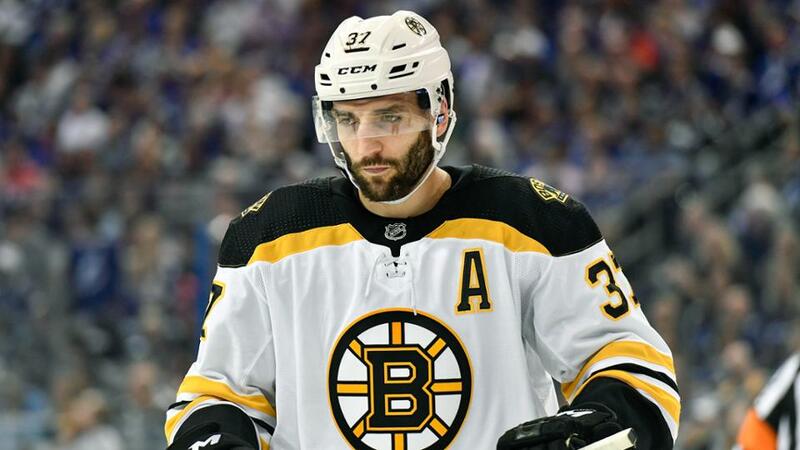 The Bruins have good leadership and a good veteran presence, in addition to a coach who is talented at teaching and dealing with youth, so it's an environment that works, but it could be an adjustment that gets bumpy at times. 3. How do they fit into the Atlantic Division? The Bruins could be playing in the toughest division in the NHL, and it could be that way for years to come. The top three teams in the Atlantic Division (Tampa Bay Lightning, Bruins, Toronto Maple Leafs) had the three best records in the Eastern Conference last season. This offseason, the Maple Leafs signed free agent center John Tavares to a seven-year contract and the Lightning re-signed forward Nikita Kucherov to an eight-year contract extension. And that doesn't include the rapidly improving Florida Panthers, who made a run over the second half of last season, closing 25-8-2. Where does that leave the Bruins? They believe the signings of free agent defenseman John Moore and goaltender Jaroslav Halak, along with depth forwards Joakim Nordstrom and Chris Wagner, will be enough to keep them in contention.